Recently, the PS3 has fallen victim to a ton of obnoxious hackers and griefers using coding flaws to rank up in Call of Duty: Black Ops. Treyarch spent some time, some would argue a little too late, whipping up a patch to get rid of the exploitable points in the game. That patch also unleashed a banhammer scented with the musk of sweet, sweet Internet justice. Blogs in the gaming sphere have done some sleuthing and headed towards the Black Ops PS3 forums to see, for themselves, exactly what Treyarch has wrought. They’ve wrought angry, illiterate teenagers. And it’s hilarious. So why not sit back and enjoy some of the more priceless excuses lurking around those message boards we just mentioned? If you’ve ever been wall-hacked, aim-botted or just generally glitched, we encourage you to dig in with a big toothy grin. I was a legit 15th with 13 days played and my brother gets on his account for five minutes hacks it to 15th and gets me banned? how is this fair?! BAN HIM NOT ME! Ooo, here’s a good one from PTO-KiLLaa. Note that Caps Lock is, and will forever be, the cruise control for cool on the internet. HELLO TREYARCH I UNDERSTAND WHY YOU ARE BANNING PEOPLE FOR HACKING BUT THERES A MISTAKE YOUR BANNING ALOT OF PEOPLE THAT HAVENT SO I THINK YOU SHOULD TAKE THE BAN OFF AND LOOK CLOSELY IN TO IT AND JUST BAN THOSE ACCOUNT TRUST ME THEY WONT TRY IT AGAIN SERIOUSLY YOU TOOK IT TO FAR MY PSN IS PTO-KILLA AND IM 11TH PRESTIGE SO THATS OBVIOUSLY NOT 15TH PRESTIGE HACK SO WHY ON EARTH IS MY PS3 BANNED FROM BLACK OPPS TELL ME AND GO AND CHECK FOR YOURSELF SO BASICALLY YOUVE BANNED MY PS3 FOR PLAYING LEGIT ALL THE WAY TO 11TH PRESTIGE 7DAYS PLAYED. Does this mean forever? Or will I be unbanned after awhile? There are tons and tons of these threads all over the Call of Duty message boards. Props to the fist round of game bloggers that decided to sift through the piles of posts titled “OMG THE KNIFE SUX” in order to find these solid gold nuggets. You could, like the rest of us, commit yourself to a few minutes of good laughs and head to the boards. Be warned, the ridiculousness within is cranked up to 11. I don’t get hackers. I don’t get the urge to hack and I don’t get the sense of reward they feel once they’ve completed a hack. Sitting on top of the leaderboards after watching a YouTube clip, reading a tutorial and cheating like crazy doesn’t sound all that appealing to me. The game is meant to be played over time, ranks are supposed to be earned and displayed with pride. Hacking just eliminates any sense of accomplishment for everyone involved. 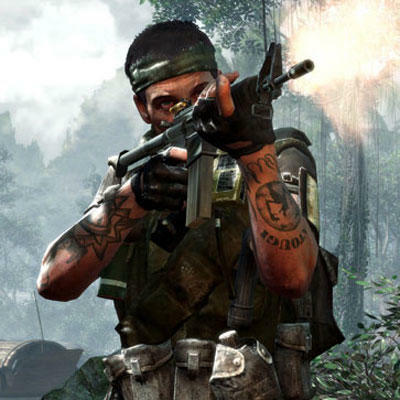 Here’s hoping Treyarch has great aim, a lot of PS3 gamers have reasons to be happy.